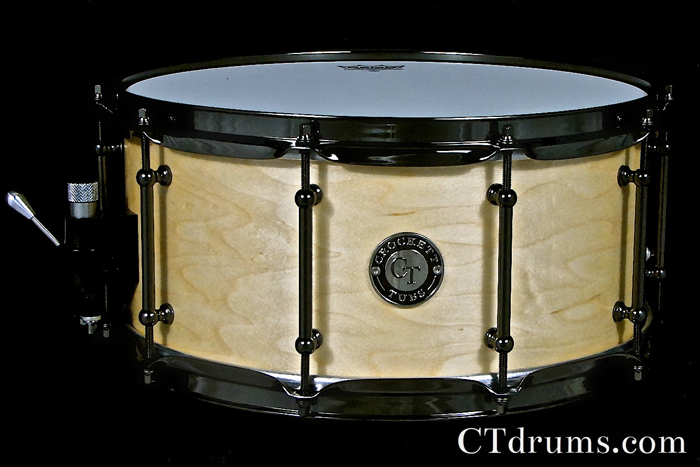 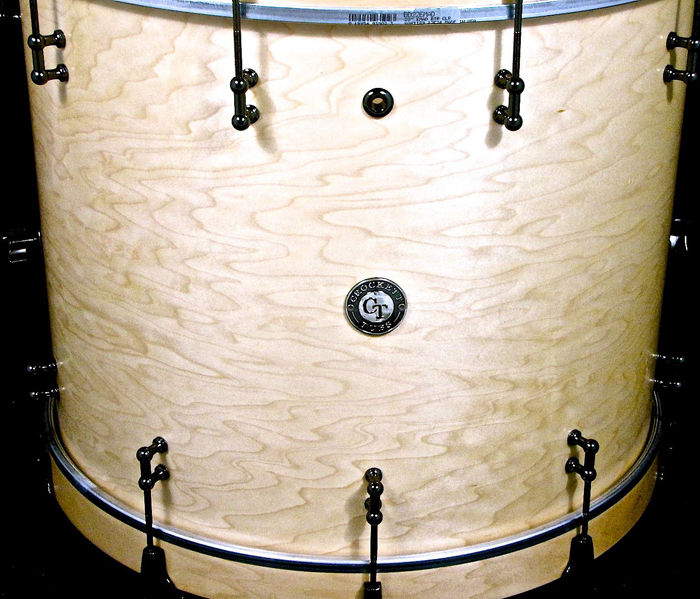 A super cool snare and prime example of what we are capable of here at Crockett Tubs. 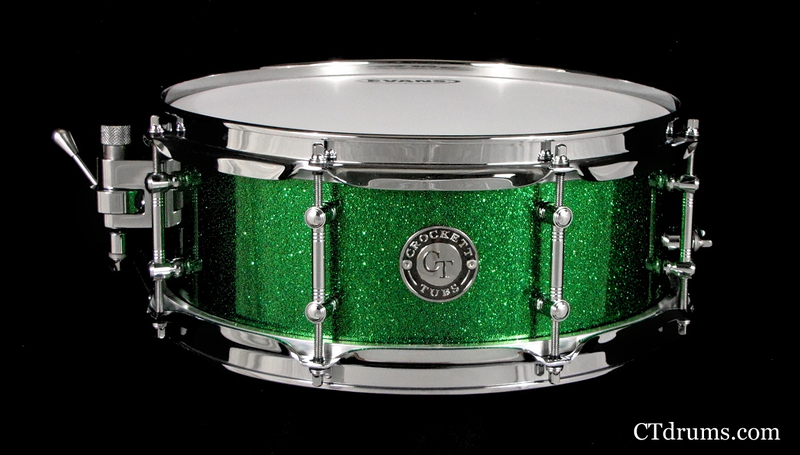 Starting with a high quality 5×13″ solid single ply maple steambent with a custom Brilliant Emerald Green flake high gloss finish. 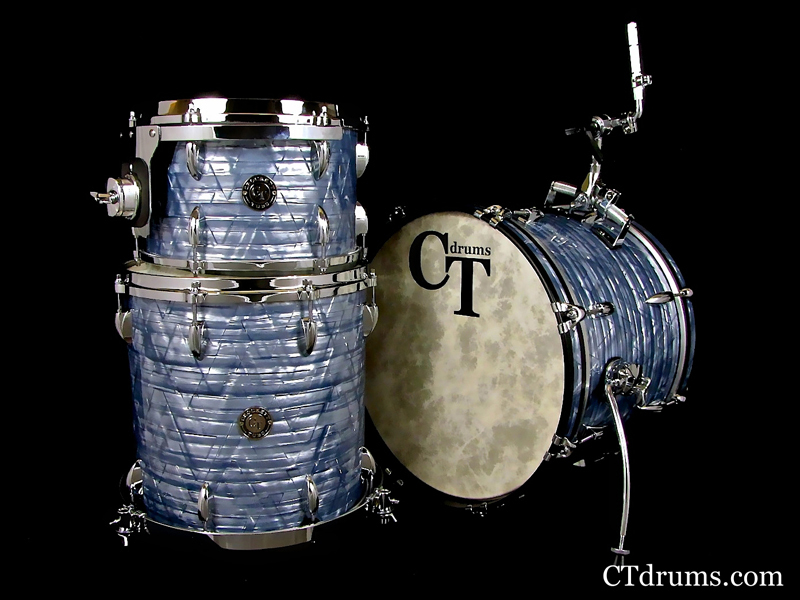 Nope, it’snot a wrap!! 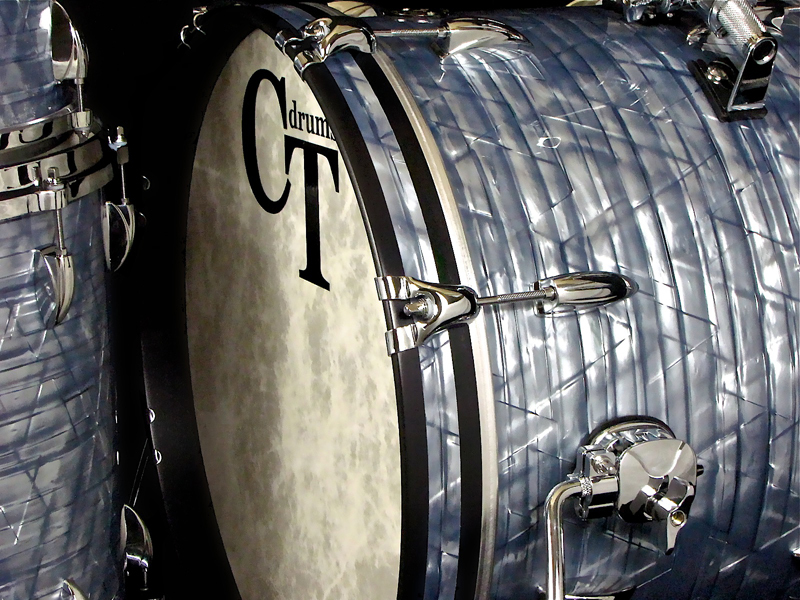 We specialize in custom unique paint jobs that set us (and you) apart from the rest. 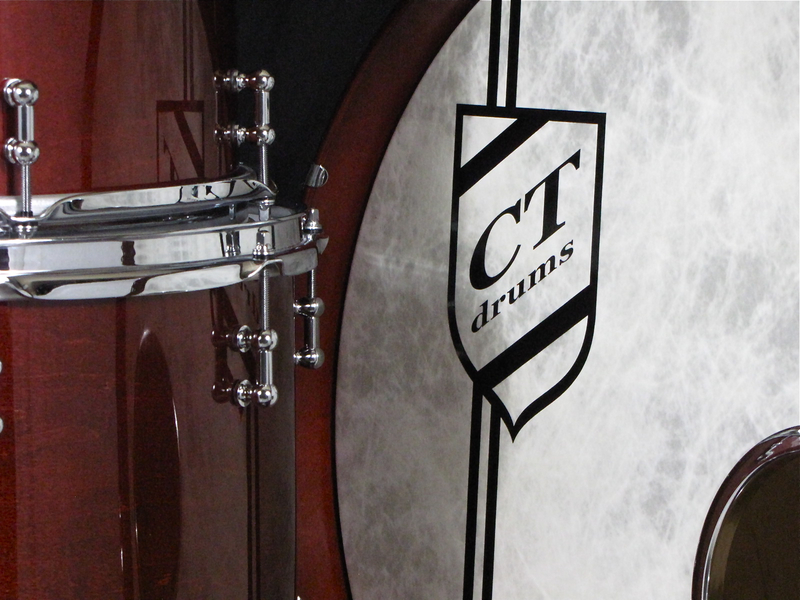 Our custom cut edges and snare beds designed specifically for solid steambent shells are “tried and true” to add just the right amount of bearing edge contact so the drums resonate freely yet have enough control for any tuning. 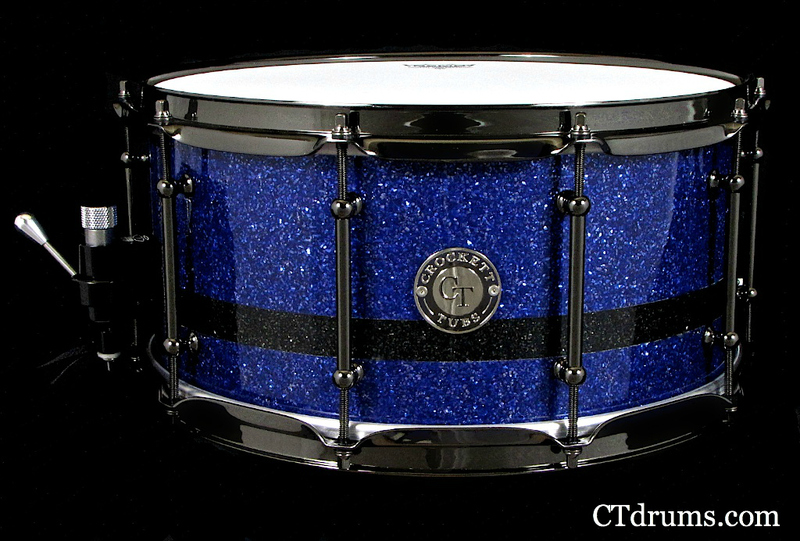 This custom painted shell is coupled with DF tube lugs, 3.0mm triple flanged steel hoops and a Trick multi-step throwoff. 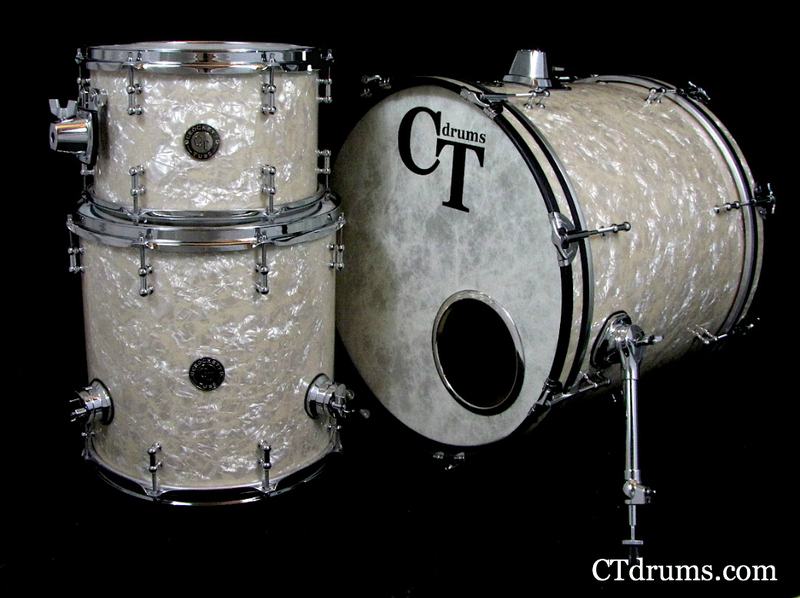 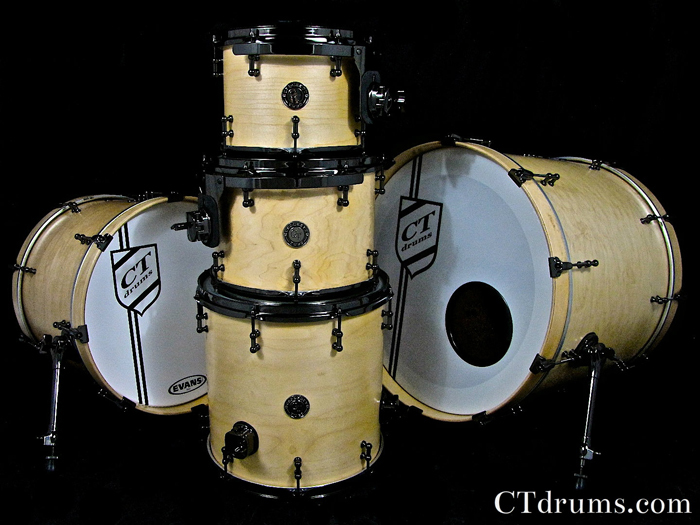 We don’t usually do counterfeit drums, but lately we have gotten a ton of requests. 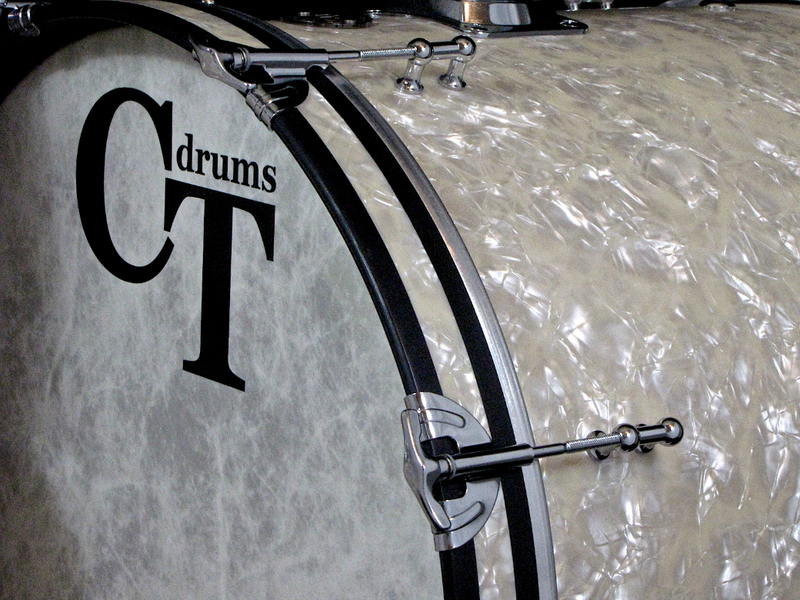 Some larger companies maybe don’t offer particular sizes for addons. 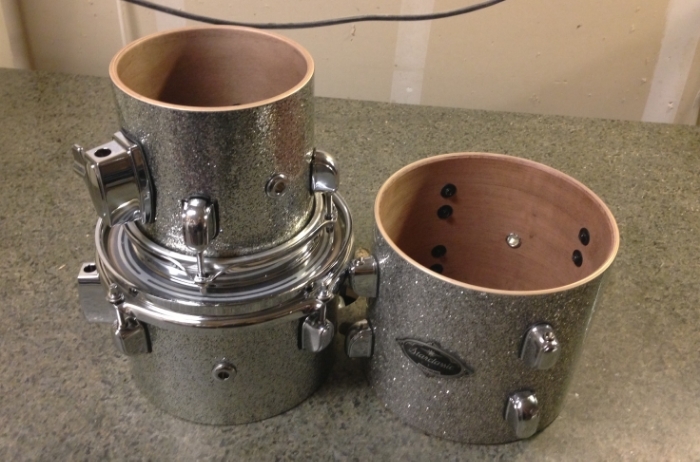 These unique single headed concert style mini-toms were 5.5×6″ and a 5.5×8″ to upgrade the customer’s Tama Starclassic Birch/Bubinga series. 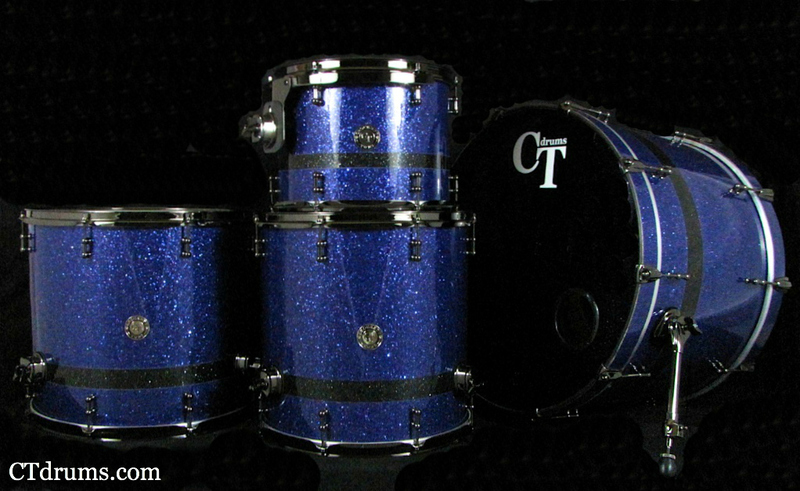 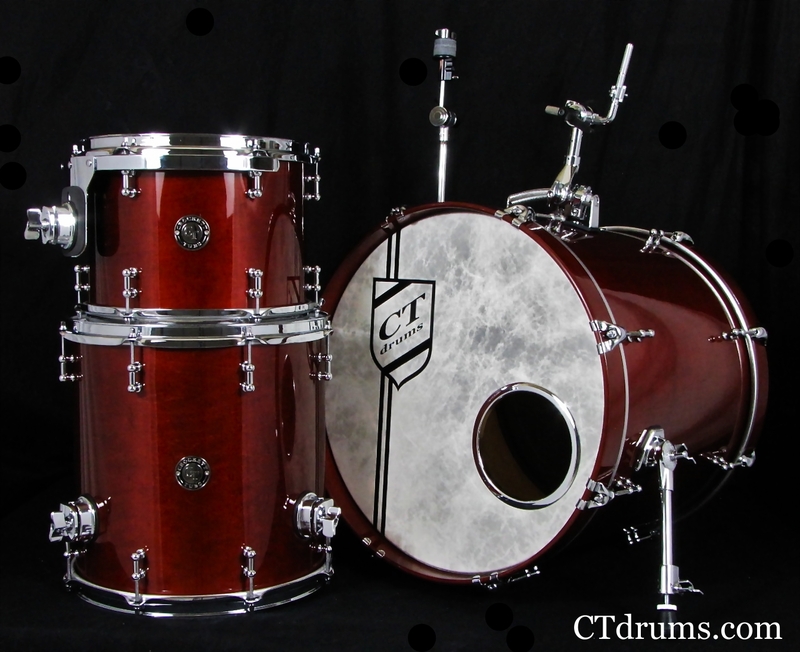 We sprayed a custom tinted heavy chrome flake high gloss lacquer and stained the inside to help match the bubinga on the rest of the kit.